Yummy Tesco cookies FREE thanks to BzzAgent! Well I am very pleased to have signed up to BzzAgent #imabzzagent. They’re a very exciting social marketing company that gets you to try out new products and services. The only thing you have to do is spread the word about the products and services on social media – perfect inspiration for my blog too! 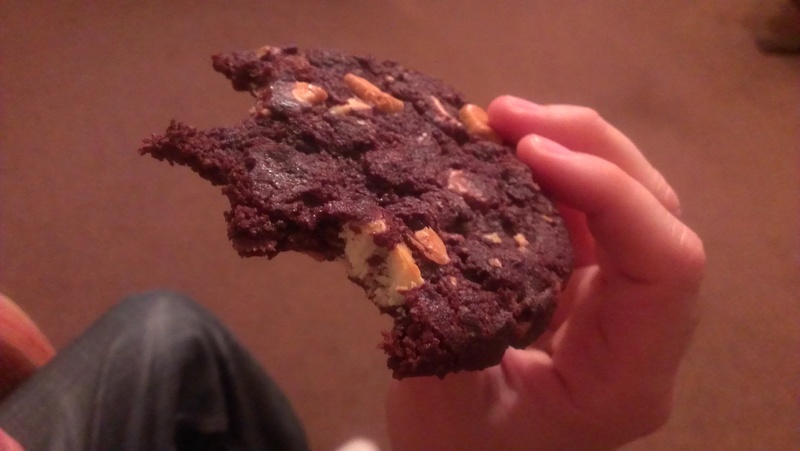 My first BzzCampaign is to try the new cookies from Tesco bakery #TescoCookies after their recent revamp. I was sent a voucher for one free pack of cookies for me to try, along with 6 further vouchers for money off the cookies to pass on to friends and family (50p off a £1.50 pack of 4 cookies). I must admit I ended up using one of the money off vouchers myself, as when I got to the bakery I couldn’t decide which one of the 6 new flavours to go for, so ended up with 2 packs – Triple Chocolate and Oat & Raisin. The smell from the bakery was very tempting and I couldn’t leave the bags sealed for very long when I got home. I settled down with a cup of tea and had one of each… for review purposes only of course! I am not sure how fresh they were, but they were both gooey in the middle, as promised. They did feel a little crunchier around the edges than I was expecting, as though they’d been out a little while, but it was about 4pm when I purchased them so maybe first thing in the morning is a better time to stock up. The Triple Chocolate cookie was very moist and the chocolate chunks were bigger than I was expecting, but still melted in your mouth. The Oat & Raisin was a little on the sweet side for me, compared to the slight bitterness from the dark chocolate in the Triple Chocolate one. They were both very large too, but if you’re more restrained than I am half of one would probably suffice with a brew. Overall I was impressed and would definitely buy them again as they are an excellent comfort food. 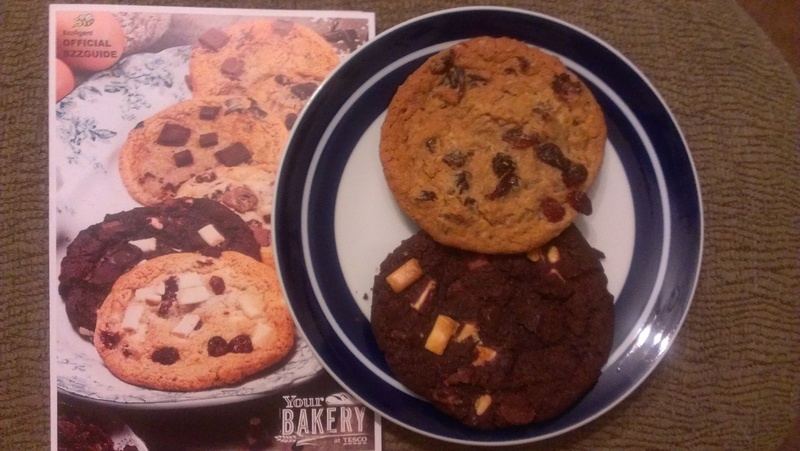 I hadn’t tried the bakery cookies previously so can’t comment whether they are an improvement or not, but if you have tried both please let me know what you think. What will be going in your trolley? Posted in Business Reviews, Product Reviews and tagged BzzAgent, Cookies, Tesco Bakery. Bookmark the permalink.